Ever wondered how Rappler was chosen by Facebook to become one of its two fact-checkers in the Philippines out of more established media organizations? 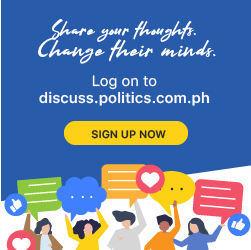 The online entity founded by journalist Maria Ressa likely got the job thanks to its wealthy American funder, Pierre Omidyar. In June 2017, the US-based Poynter Institute announced it received a total of $1.3 million in new grants from the Omidyar Network and Open Society Foundations for the operations of its fact-checking arm, the International Fact-Checking Network (IFCN). Months later, in October 2017, Rappler became one of only 37 media organizations worldwide chosen by IFCN as a member. Barely a year after Rappler joined IFCN, Facebook announced it was partnering with the Ressa-led entity and Vera Files to fact-check news articles posted on the social networking site. The two media entities were chosen because of their links to IFCN. But since IFCN runs on Omidyar’s money, fact-checking news articles on Facebook may just be another job handed to Rappler by its American investor. 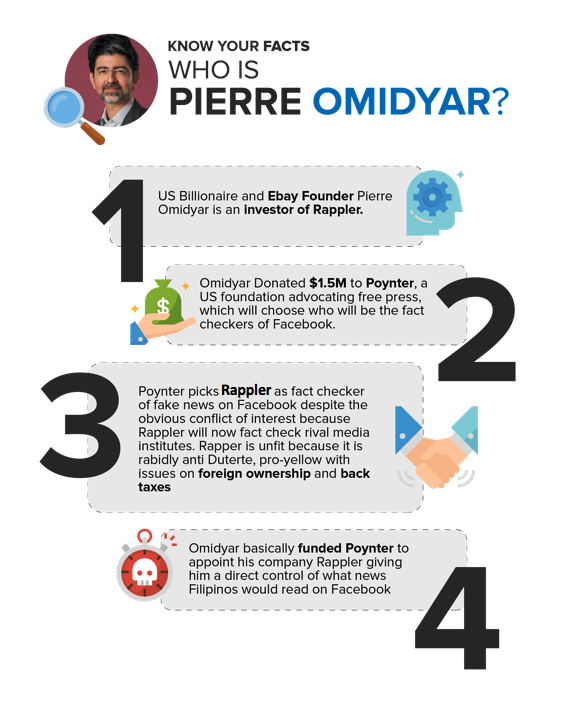 Former Cabinet Secretary Bobi Tiglao has said that Omidyar invested at least P100 million in Rappler, based on his study of the company’s financial documents. Trixie Cruz slams Rappler for oppressing Jiggy Manicad: Porke’t ‘di kumampi kay Ressa masama agad?! Rappler wants blood after Jiggy Manicad gives honest opinion: Sana ‘di ka na makabalik sa media!